As a mother of two and a Kindergarten teacher, I often wonder about the imagination of children and if it is being fostered enough. We live in the era of electronics and I’m not sure our children are being given the opportunity to use their imagination the way we were when we were young. With television, video games, and educational apps, our kids don’t have to construct castles, monsters, or mountains in their minds as it’s right there on a screen in front of them. For this reason, it’s important for children to read! Books do what no other object can do – books can take you to that far away place and allow you to view worlds from your lens, the eye of a reader. El Viaje de Magélica is an example of an exemplary read with a plot full of opportunity for the imagination to fly. Without giving too much away, this beautiful tale allows little girls and boys to fly away and imagine Magélica and all that they would want her to be in their minds. She is a character that comes with so much magic and inspiration, it’s truly special. This book can be read by little boys and girls who dare to allow their imagination to run wild with adventure. 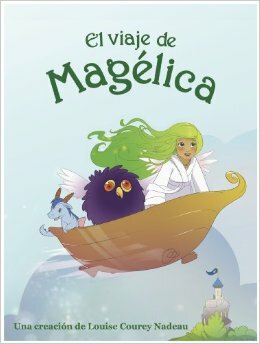 Magélica is a little girl who has no answers about where she came from but accepts the challenge of discovery, adventure, and imagination all through being grateful for it all. The message behind this tale is that we all have the choice to allow a touch of magic into our lives. In order for us to believe, we have to allow our imagination to take flight and discover all that life has to offer. It amazes me when children read a story that really touches their core and allows their imagination to capture a moment in a book like this with so much imagery and power. Children broaden their minds by reading and truly believe in the words they read in quality books like this. This books allows you, the reader, to discover so much and to really look deep inside yourself, love yourself, and accept yourself for all that you are and all that you might become. Once you believe, you hold the key to your own happiness. We’re giving away one copy of El Viaje de Magélica to one lucky winner. All you have to do is leave us a comment telling us who you’d like to share this book with. Then, enter the Rafflecopter below. I would give this to my kids’ bilingual school. They always are in need of more Spanish language books. All of our Spanish speaking friends! I would give this book to my friend who is a Spanish teacher. I’d love to share this with my family. I also wonder if my children’s imagination is fostered enough. I would read this book to my daughter, Kelsey. I would share it with my daughter. It looks enchanting. This Monkey’s rock’n all the jungle, so dive in and say howdy today! No need to sit there and regret, any longer, your lack of full body hair coverage in life, visit the Mad Monkey’s world and together, we’ll put the Big B in Banana! No more sitting alone atop a jungle tree for you and me, together we’ll rumble this jungle, til cows fly south…for the winterrr….something like that anyway, together, setting the jungle a flame, in wild wet hotish yet cold liquidy, dry like, complete over the top hyped hyper hype….well, it’ll be Awwweessoommmeeee! I don’t think we ever had a chance to to thank you , but THANK YOU! How can we collaborate with your great site once again? . 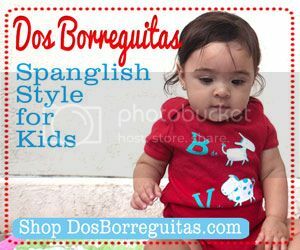 El Viaje de Magélica GiveawaySpanglishBaby™ < Loved it! Yes! Finally something about Occam. Eileen is a New York City Public School teacher in Brooklyn by day and a freelance writer, Community Manager to Mamiverse, wife, and mother of two boys by night. A contributor for Latina Bloggers Connect and heavily involved in social media. 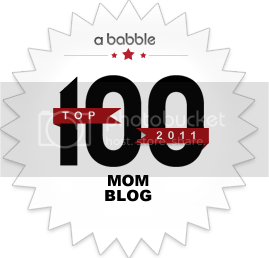 Eileen is the founder of mommyteaches.com, where she shares her love of blogging about her pride in teaching, parenting, and the blessings and trials that life have to offer. 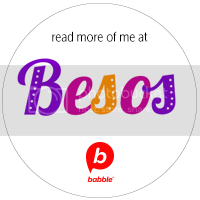 A circle of Moms Top 25 Teacher Mom, nominated for Best Latin@ Education Blogger, Hispano Blogger Award and The Socia Revolucion SXSWi 2013 award. She graduated from NYU with honors with a Master’s degree in Early Childhood Education. A children’s book collector from a young age, Eileen loves cooking all types of food, reading and being arts & crafty with her boys. Born and raised in Brooklyn, NY from a Puerto Rican mother and an American father. Eileen is married to her high school sweetheart for 10 years.